Síðan er að gangast undir sjálfskoðun og verður hér allt á fleygiferð næstu daga. Afsakið ónæðið. 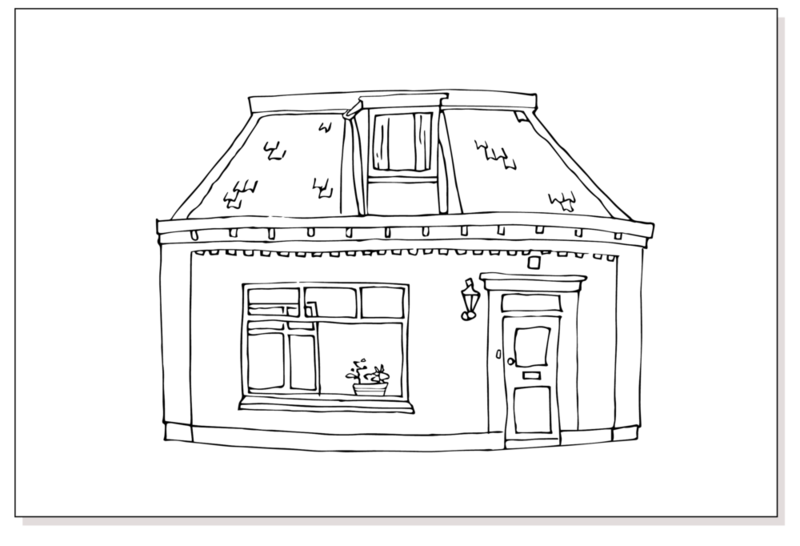 Here you can order a custom made drawing of your house. Each drawing is unique just like your house. This is an opportunity to get a beautiful drawing of a house you love, that you can share with your friends and family. You could also use the drawing online or print them on cards. You will receive two drawings, one house drawing in black&white and the other one colored. I colour the drawings based on the original photo and I choose where and what colours will be in the final drawing. You can see an example of this in the photos. The drawing is delivered in a black and white, digital (vector) format. So you can print it out in any size and in as many copies you like. Therefore this could, for example be multiple gifts to friends and family and/or a christmas card. You will receive your drawing within 5 weekdays after you have ordered the drawing and sent me a picture of your house. You will get the drawing as a .pdf (for printing) and .jpg (for online use). You can print it out in any size and in as many copies you like or use it online. You can print the drawing out from your own printer at home or go to a print service for a better quality. Usually it's cheaper to print in black in white so it's good to make that clear if you are printing at a printing company online. Attention: The drawing is for private use only, please contact me if you want to use it publicly (for advertisement, marketing and such).